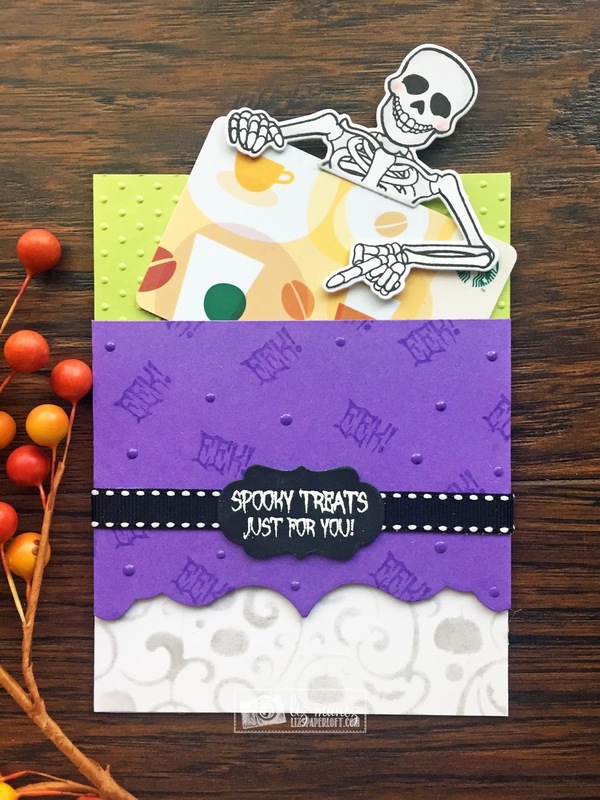 Liz's Paper Loft: MCT "48 Hour Flash Sale!" 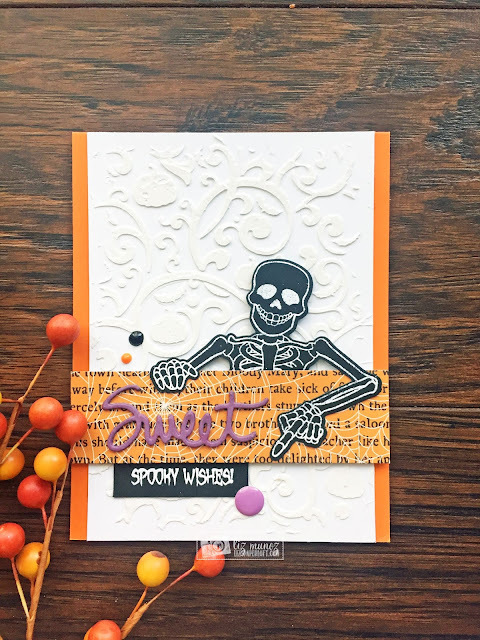 Blog Hop ~ frightful greeting exclusive kit! MCT "48 Hour Flash Sale!" Blog Hop ~ frightful greeting exclusive kit! Good morning & welcome to another My Creative Time "48 Hour Flash Sale!" This sale is for 48 hours ONLY that is going on right NOW & will end on Sunday, September 3, 2017 @ 7am PST. You should have arrived here from Kim's fabbie blog, if not please head over the Emma's creative blog for the start! I used the stencil to create the background with texture paste. I lightly inked the stencil for the white background and created a pocket for the skeleton to hold a gift card. Hey Miss Liz, I ADORE BOTH of your cards!!! I am SO HAPPY you used the embossing paste because mine is MIA :( That gift card holder is to die for!!!! VERY CLEVER IDEA! EXCELLENT job my friend!!! GREAT job! 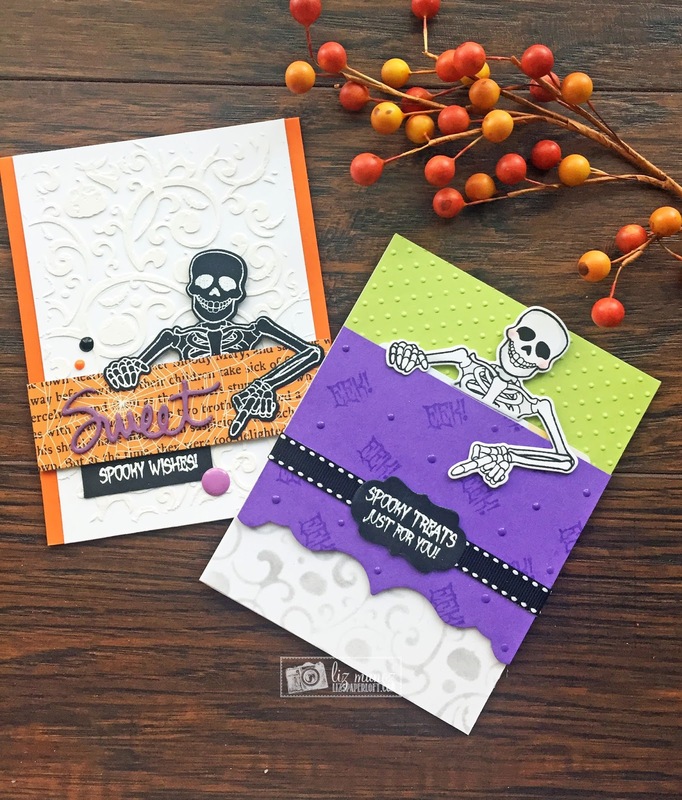 Oh Miss Liz WOW Your Cards are both So Outstandingly Wicked Awesome...Loving your textured stenciling the look sure is faBOOlous!! What a Spooktacular idea for a gift card so they can get some Spooky Potion to warm their bones!!! You never cease to amaze with your clever creative ways you used Miss Emma's goodies. YOU so ROCK!! Great projects! The card is adorable and I love the clever gift card holder...what a fun way to present a treat card! Fabulous job. Great texture also. Love your color combos and textures! Awesome cards! That spooky skeleton is fabulous, and I love the stenciled design! AWESOME cards. Great designs as well as color combination...love them. Awesome cards! Love the paste with the stencil, looks awesome! Liz ~ Alright these are just FABULOUS!!! I LOVE that you used the texture paste! I need to try this next time I use the stencil! The gift card project is over the top AMAZING!! SPOOKACULAR as always!! Fabulous ideas and fun ways to use the new set! The background looks amazing...fun texture! I love this skeleton...eek, his face makes me laugh! You did an amazing job showcasing this fun set! 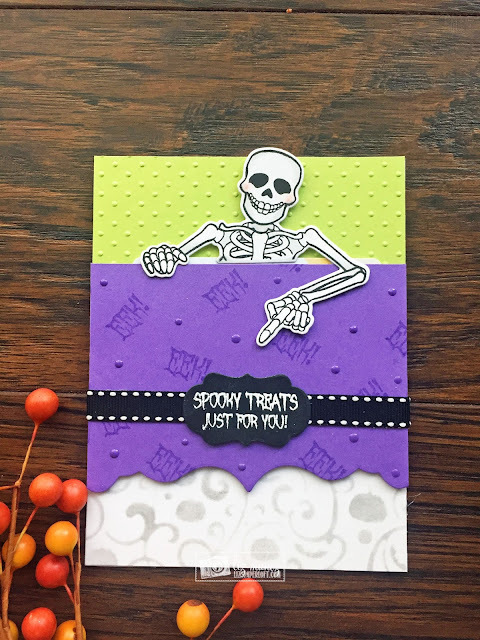 Fun and spooky and great colors. I like the look of the white on black skeleton. Fun idea for a gift card. Awesome cards! I especially love the texture paste - it came out perfectly! Wow both your projects are fantastic! Loved the texture paste on the stencil and the 2 ways to create the skeleton! So creative!